Takeaway food and home delivery is a new concept to the Ethiopian capital of Addis Ababa but one that’s rapidly gaining traction in the city. 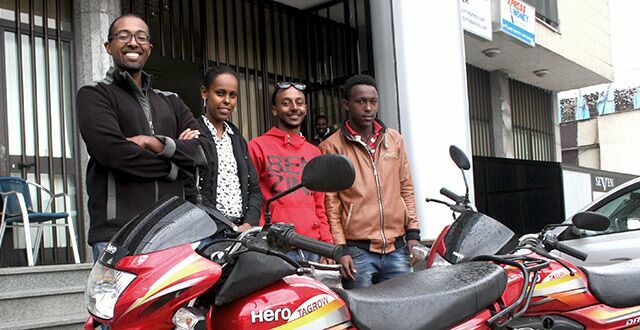 Entrepreneur, Feleg Tsegaye is leading the charge, with Deliver Addis, one of the first food delivery aggregator sites in the country. Business is booming but delivery drivers still face one key challenge. The buildings of Addis have no observable street addresses. 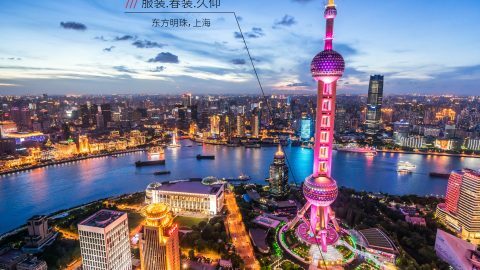 The only way to find a specific location is via unreliable landmark-based descriptions or by dropping a pin on a map. Whilst the latter is more accurate, it still can’t identify a front door – which is where a delivery typically needs to go. 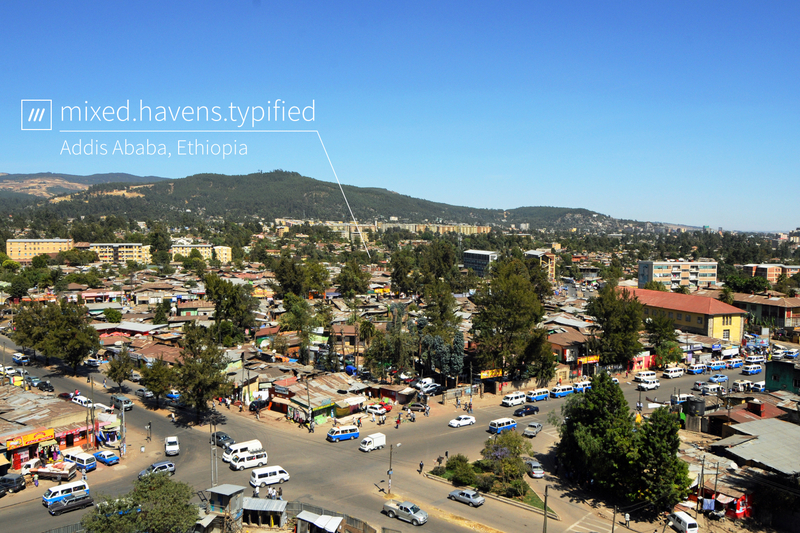 To remedy this problem, Deliver Addis has integrated what3words into their delivery checkout. 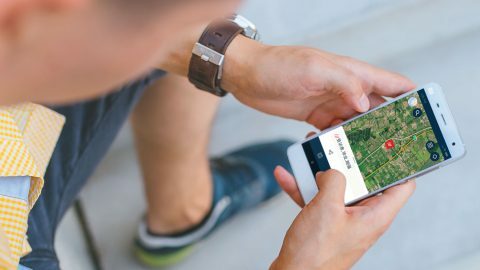 Customers can now enter the 3 word address of exactly where they want the delivery to arrive, whether that’s an entrance door, back garden, or even a communal location. Customers ordering by phone can also very easily share their 3 word address, either by simply saying the three words or texting them via SMS. 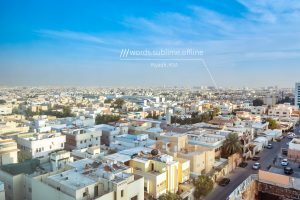 The Deliver Addis team also make effective use of what3words’ offline function. Mobile internet access in Addis can be unreliable at times. Without internet on the move, it becomes very difficult to know where to make deliveries. 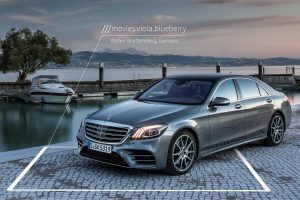 With what3words, the team in the office can simply send an SMS with the customer’s 3 word address to the drivers, who then navigate to that exact spot without the need to use data at all. It means takeaway food can now get from a restaurant to a hungry mouth more quickly and accurately. Drivers waste less time looking for a drop off, allowing them to make more deliveries to more customers. And Deliver Addis can be more efficient in its service, allowing the business to scale up faster. Deliver Addis is bringing the concept of takeaway food delivery to Addis Ababa. However, the city lacks a reliable building addressing system, making deliveries difficult to fulfil. 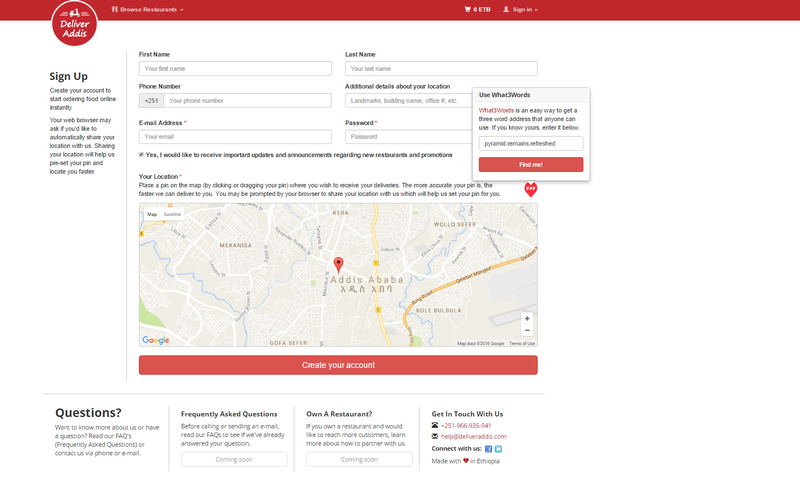 In response, Deliver Addis has integrated what3words into its order checkout. Customers can specify exactly where they want their food to turn up and Deliver Addis can optimise its delivery service.